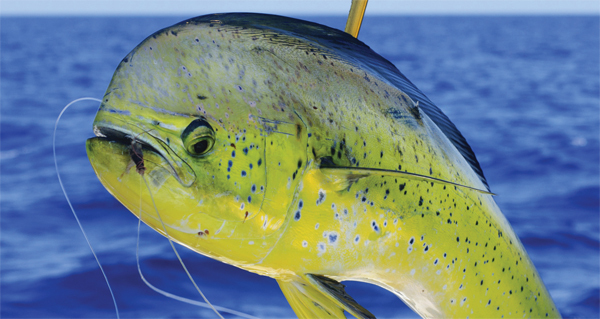 Jacks are a common bycatch of tarpon fishermen. 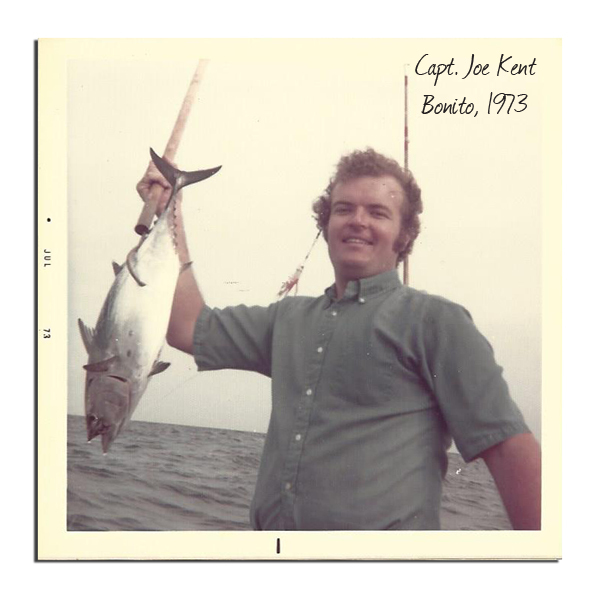 Before we talk about crevalle jack, or jacks as they are more commonly called, let’s get an insight into tarpon, or silver kings as they are also known. Tarpon are very popular game fish and we will be comparing them to crevalle jack. The tarpon’s fight is among the best of any fish anywhere and anglers will spend hours trying to get a hook-up with a fish that many say resembles a shot in the dark to catch. 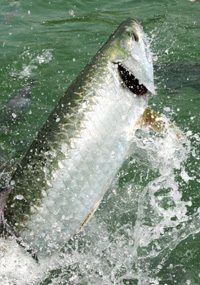 From Memorial Day until mid-October, tarpon roam the coastal waters not too far from the beach. August and September are prime months for getting a hook-up; however, the odds are not great unless you are using an experienced tarpon guide. While the odds improve considerably with a guide even then the chances are on the tarpon’s side not to get caught. Perfect water conditions and select baits are a must and once you land one of the big fish it has to be quickly released as they are under the catch and release rules. 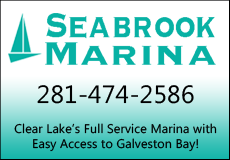 Unless it is one of the scales you are after or a 100-pound plus fish for the resume, then try fishing for crevalle jack. 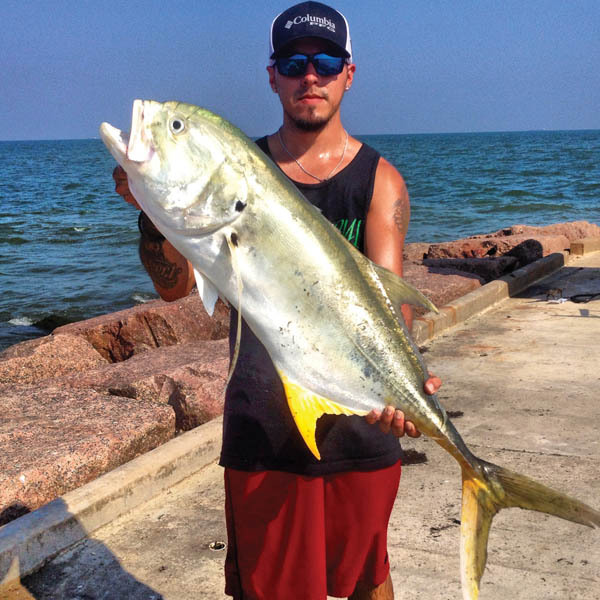 Crevalle jack are caught in all sizes along the coastal waters and have many of the same traits as tarpon. Both fish offer poor table fare; however, while tarpon (except for one over 85 inches) must be released, jacks can be retained with no bag or size limits. The tarpon exception is to allow for a new state record tarpon to be set. 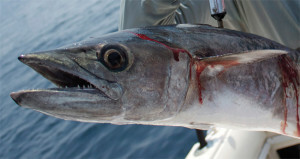 Jacks are found in a much wider area than tarpon, as the larger of the silver kings confine themselves to the Gulf waters. Jacks can be found in the inland bays as well. Fighting ability is an understatement for both fish, as both are known as ferocious fighters. 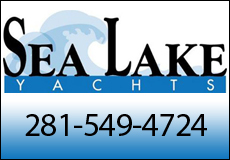 Just ask any surf fisherman who had his reel stripped of line by a fast attacking jack. Tarpon require clear or green water with light winds and slight seas for increasing the odds of a hook-up. Jacks on the other hand are not as particular and are caught in lesser quality water under almost all conditions, especially favoring the same type of water in which reds and specks thrive. Tarpon fishermen frequently hook up with jacks while drifting their baits for the prized silver kings. While the jack may present a comparable fight, it is usually disappointing to the tarpon angler when he see what is on the other end of the line. 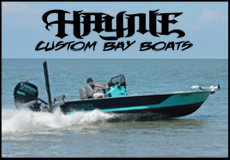 Certain select baits are required for a good chance at enticing a tarpon while a variety of baits from live to natural to cut baits work on jacks. Jacks, like tarpon, are most likely going to be caught near the surface so for that reason drift lines tend to work best. The best baits are those used for any pelagic fish offshore. Sardines, ribbonfish, shad and strips of bonito are among the best baits. During periods of nice conditions in the surf, meaning light winds and seas, beachgoers and surf fishermen will see schools of jacks attack pods of mullet in the surf. If this article stimulates your interest in catching a jack, here are a few tips that will enhance your chances. The jetties, especially out from the rocks rather than in close, are where they are likely to roam. 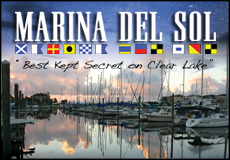 All along the beachfront, from near shore to eight miles or so out, also offers good opportunities. 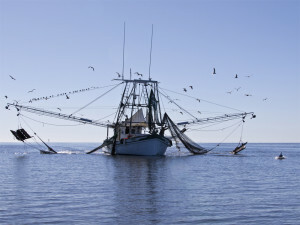 One of my favorite spots to find jacks is near anchored and working shrimp boats within 8 to 10 miles from shore. Once you hook a jack you will not forget it and any angler that has caught a few can tell right away when one is on the line as soon as it strikes. When the strike occurs, the reel starts spinning and newcomers learn quickly not to put their thumb on the spooling line. If big time action is what you are after, go for the jacks.